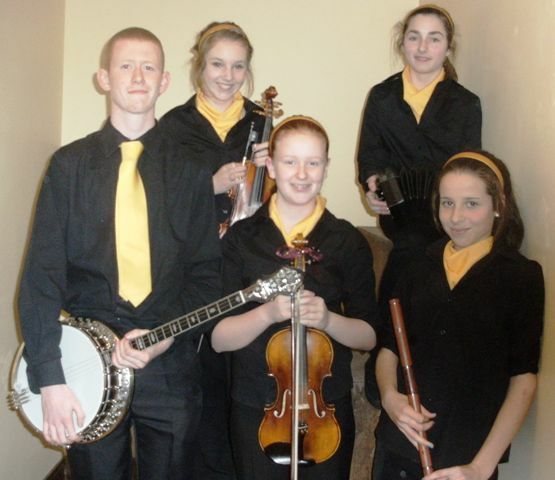 The Scor na nÓg North Kerry Final took place in Marian Hall, Moyvane last Sunday night 13th November. Well done and Congratulations to our Quiz Team Jake Moriarty, Tom Trench and Eibhin O Brien who came 1st place on the night and are now through to the next stage in Abbeydorney next Sunday evening 20th @ 4pm. Saoirse Kennedy represented the Club in the Solo Singing and got 2nd place singing the Mulcaire River Flows. Commiserations to our Music Group, Tom Trench, Fionnula Trench, Sarah Moriarty, Robyn Doyle, Rebekka Garvey who put on a brilliant performance but weren't the judges choice on the night. A huge thank you to Karen Trench for her efforts and support organising everyone takin part. Congratulations to Jack Hennessy and the team for yet again another well run night of scor. 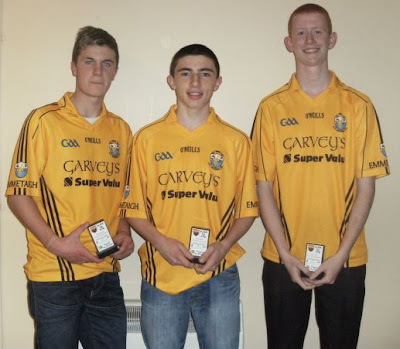 Best of luck to the boys in Abbeydorney next Sunday evening from all at Emmets.